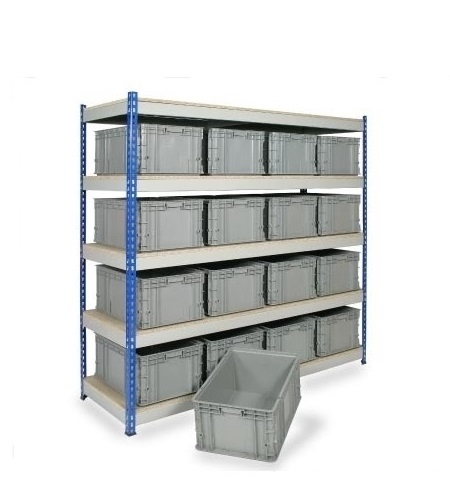 Our best selling shelving and racking system which offers value for money. 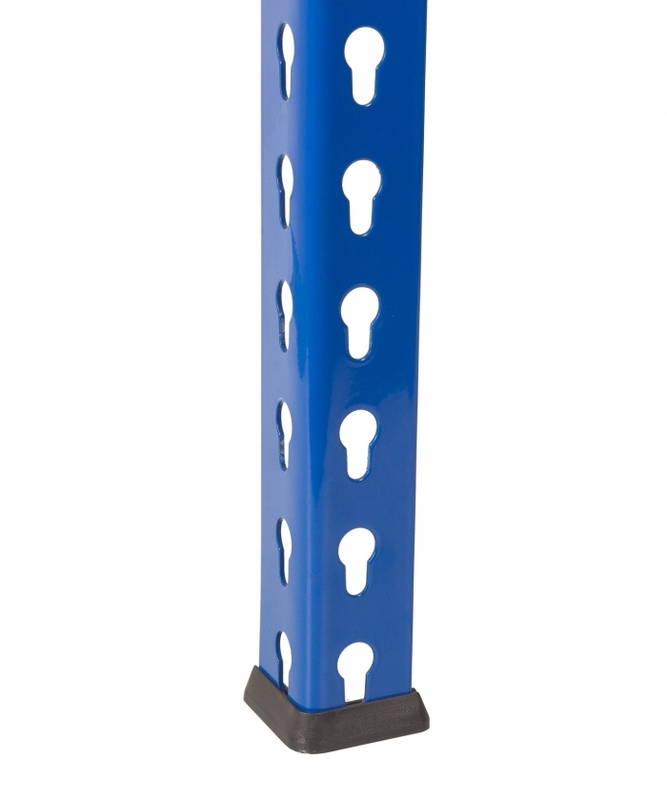 A quick way to get organised with our most competitive bay of rivet racking which comes complete with 16 x euro storage containers. 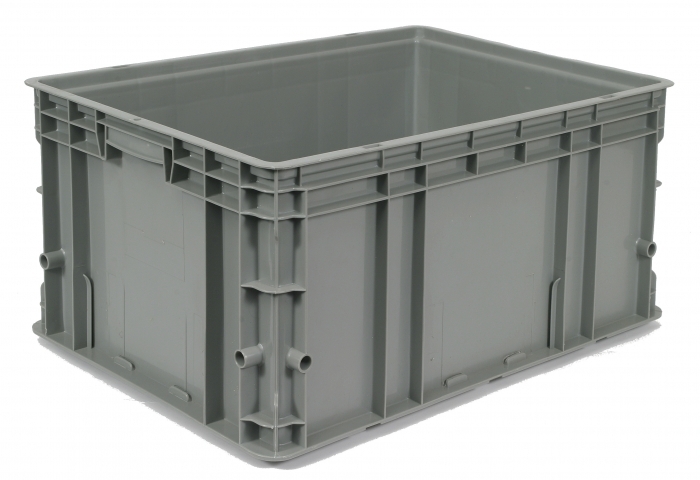 Choose from either euro containers (no lid) or distribution container crates with lidded tops. 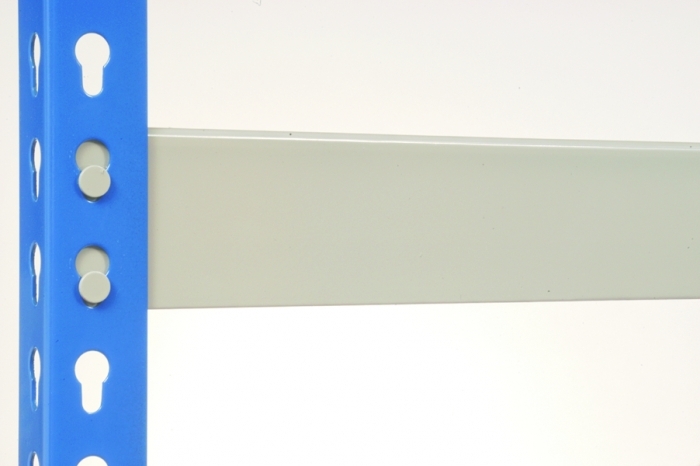 1830mm x 1830mm x 610mm (D) shelving bay size. 600mm (D) x 400mm (W) x 280mm (H) - Euro container size. This bay comes complete with 5 shelf levels, 16 x containers, uprights, plastic feet, perimeter beams, deck supports and 18mm chipboard decking. All you will need! This bay comes complete with 5 shelf levels, 16 x containers, uprights, plastic feet, perimeter beams, deck supports and 18mm chipboard decking. All you will need!